Equipping yourself with the best hunting knife before you embark to the forest is crucial. It will help you to get your jobs done faster and easier. Aside from that, hunting knives can also be used for emergency self-defense situations. Hence, it is essential that you choose the right hunting knife for you. Today, allow us to introduce one of the most reputable hunting knives manufacturer in the market today—the WR Case. As what the company says, their hunting knives are “built with integrity for people with integrity.” This company is best known for manufacturing durable and reliable hunting knives in the market. To help you choose the right hunting knife for you, we’ve gathered the top 9 best WR case hunting knives available in the market today. The following are the best hunting knives from the company that you can enjoy in the long run. The mini trapper pocket knife is the perfect ECD knife for any hunter or even outdoorsmen. It features an easy-to-see bright yellow handle, making it an ideal choice to use in woods. This knife has case quality built-in and only measures 3 ½ inches when closed. The trapper, on the other hand, only weighs 2.7 oz., allowing you to tuck this knife in your boots or your back pocket anywhere you go. 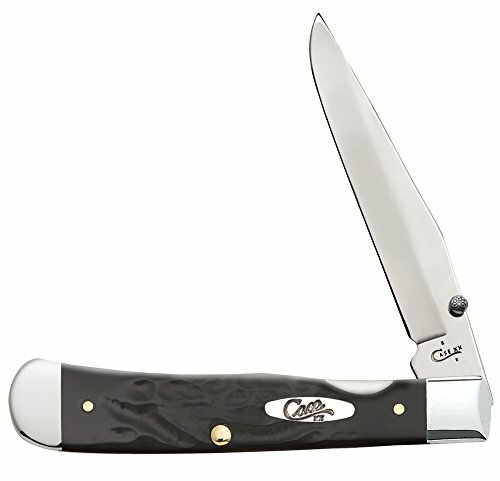 Similar to all Case knives that we are going to review, it also features a mini trapper’s clip and Spey blades. The blades are made of domestic steel and hardened with precise steel treatment. Now you have peace of mind when using this product ruggedly knowing that it can withstand heavy-duty use. Most collectors favor this pocket knife because it can help you get the job done right and fast. 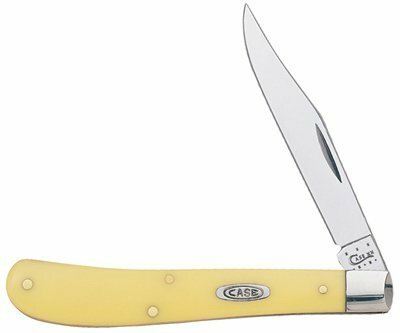 The Case Yellow Handle Pocket knife features a domestic steel blade that can be used in a variety of hunting jobs while in the forest. Also, its bright yellow handle makes it easy for you to spot the item if you accidentally dropped it during the operation. On the other hand, the Sod Buster Jr. features a single skinner blade. Its closed length is 3 5/8 inches and only weighs 2.1 oz. This knife is made in the USA using top-grade materials. If you are on a budget but still wanted to own premium quality hunting knife, this is the perfect product for you. 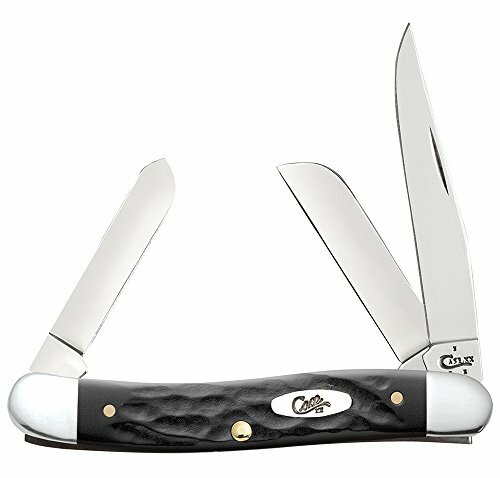 If you have extra budget, you might want to check the Case Trapper Pocket Knife. It has an integrated case with a bright yellow handle that you can see even from a distance. Similar to the previous pocket knives that we’ve reviewed, it only weighs four oz., making it lightweight and easy to carry. 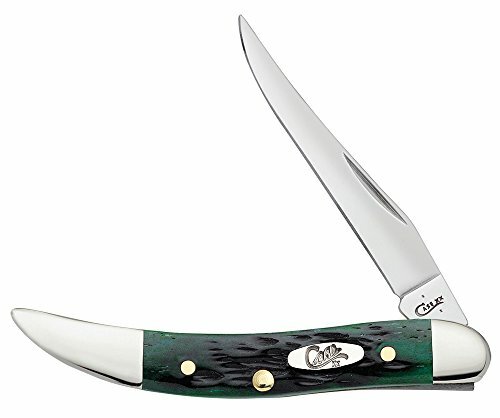 Also, the Case knife has an added Trapper’s clip and Spey blades. The blade is made of domestic steel and was later on hardened using precise steel treatment. This handy knife can be used in skinning big game, dressing big game, or even cleaning fishes. Thanks to its sharp edge, it can also save your life should any potential attacker tries to harm you while you’re in the forest. This is one of the best-selling knives from the manufacturer so far. 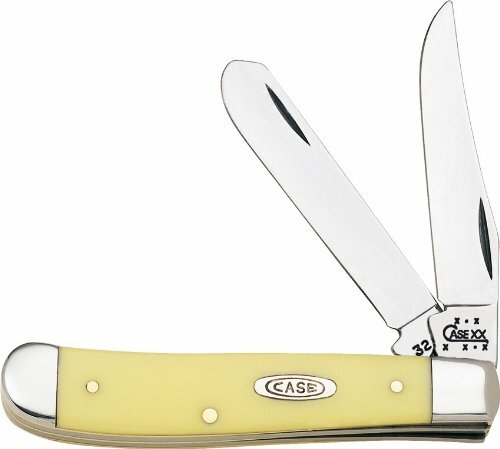 Allow us to introduce the Case Yellow Handle Small Texas Toothpick Knife that will make any of your hunting job a lot easier. Thanks to its bright yellow color, losing this knife on the wood is not possible. The manufacturer pride themselves on their small Texas toothpick sports handle that is made from Deldrin. This synthetic material can withstand rugged use even on a regular basis. It can also resist impact and is ideal for heavy-duty use. This knife has a long-clip chrome vanadium steel blade. Its closed length is only three inches, making it lightweight and easy to carry anywhere you want. 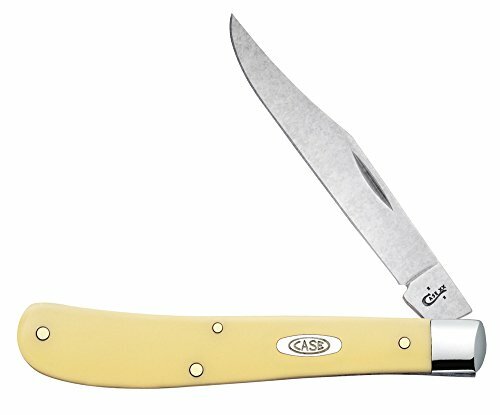 This Case Yellow Handle Knife had won the hearts of most collectors. It has a domestic steel blade and a bright yellow handle that ensures you can always find this pocket knife if you ever drop it. The Peanut features two blades—the pen and the clip. In that way, you can use this single knife in a variety of hunting jobs while in the forest. Its closed length is only 2 7/1 inches, and it only weighs 1.2 oz., making it ideal for hunting and outdoor activities. This knife offers both versatility and strength in just an affordable price. With proper use and maintenance, rest assured that it can last for a long time. 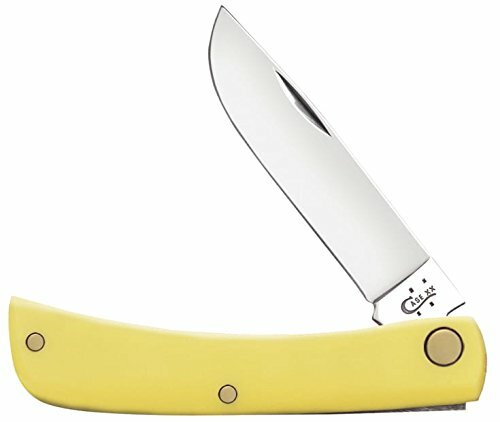 Next, we have the Case Yellow Handle Pocket Knife. This knife is not only limited to hunters but can also be used by farmers, ranchers, fur traders, and outdoorsmen. The bright yellow handle of this knife makes it easier to spot in case you lost it along the way. It also features a case original vanadium blades that are best known for its edge-holding ability. Since there are no replacement blades for this knife, you can only re-sharpen it. In that way, you do not need to worry about dealing with dull edges again. This knife is built to last with its original blades crafted by skilled artisans. Despite its affordable price, this is the kind of knife that you can hand down to other generations when used and maintained correctly. Who says that hunting knives are only limited to hunters? 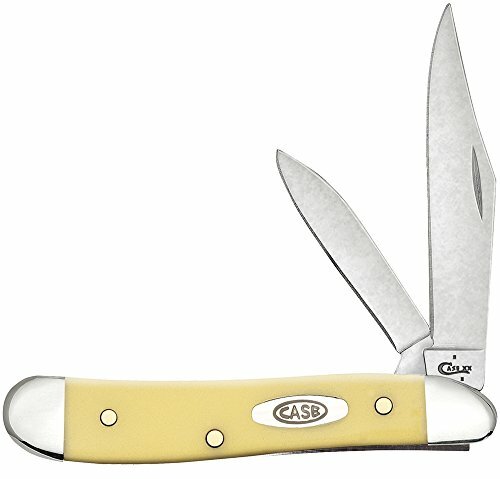 This Case Yellow Handle Pocket Knife is a great help not just to hunters but also for farmers, ranchers, and outdoorsmen for the past couple of years. It’s the knife that won’t easily get lost because of its bright yellow handle. The versatility of the knife does not reduce its durability and quality. In fact, you can use this for self-defense thanks to its case original vanadium blades that are best known for its edge-holding ability. Since the blades are fixed, you cannot replace it; you can only sharpen the knife whenever it starts to get dull due to continuous usage of the product. For those who have extra budget, we recommend this dependable fixed-blade knife that can assist while you are in the woods. This knife is not only for hunting but is also useful in camping or a short trip to the countryside. The Case Fixed Blade Knife features a handle that is wrapped with genuine leather. Compared to the previous products we have reviewed, rest assured that your hands will never hurt from holding this knife for a prolonged period. Also, it has a corrosion-resistant Tru-Sharp surgical steel blade. The sharpness of the blade can be compared to a scalpel of a surgeon. The package includes a leather sheath to protect the knife when not in use. This product is made in the USA. And for our last product, allow us to introduce the Case Yellow Handle Pocket Knife Trapperlock. It may not be the cheapest knives from the manufacturer but rest assured that it can help you get the job done right. The manufacturer’s trademark, its yellow handle, makes this knife impossible to lose in the forest, farmland, or countryside. This knife features a chrome vanadium-steel clip blade. It also has a high-impact Deldrin handle that will not only provide great stability but can also resist impact. This knife is built for rugged use for most outdoorsmen. Its closed length is only four 1/8-inches, allowing you to tuck the knife in your back pocket.